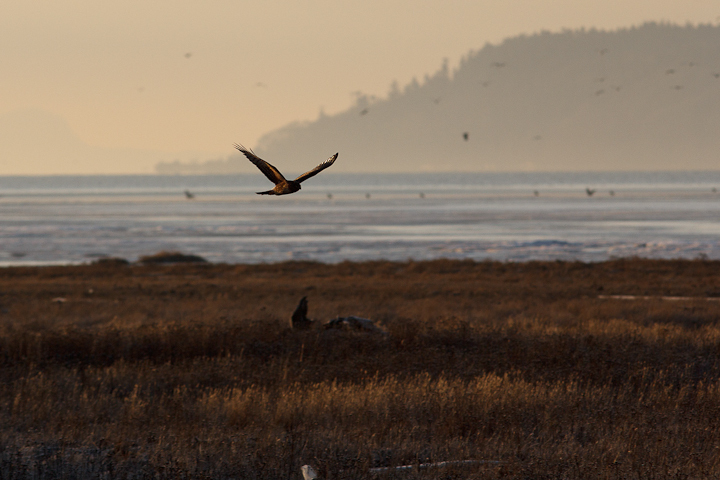 Catherine and I got the new year off to a good start with an early-morning trip to Boundary Bay, in the hopes of seeing some owls. 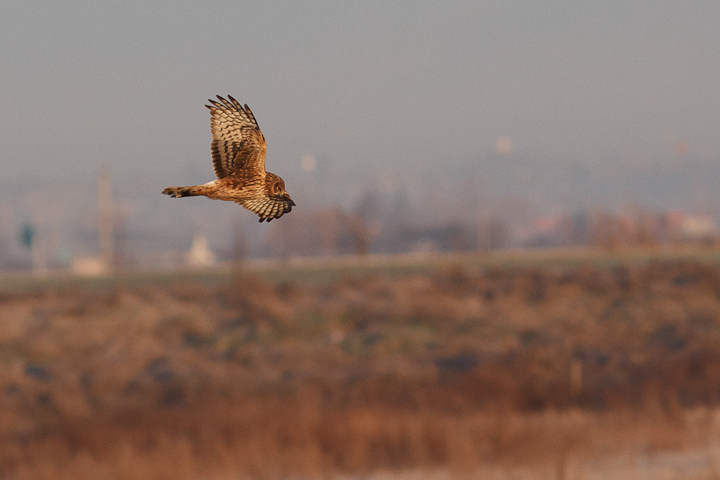 We did not manage to see any except for a solitary Short-eared Owl from a distance, but we made up for it with some other great birds! 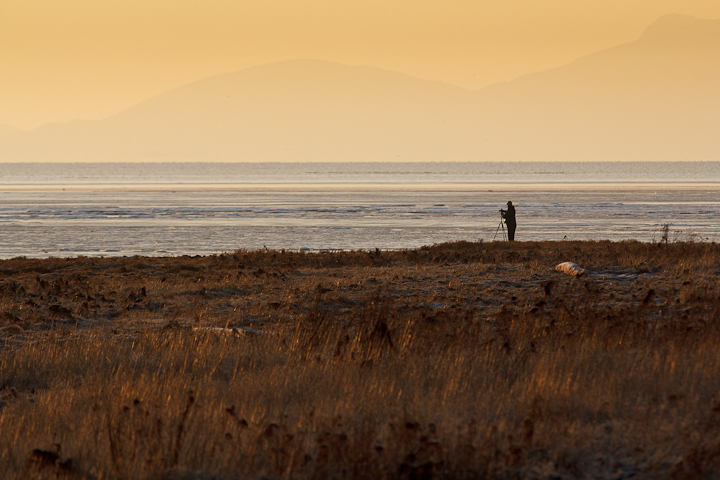 We weren’t the only ones out there, several other bird-spotters had already arrived. 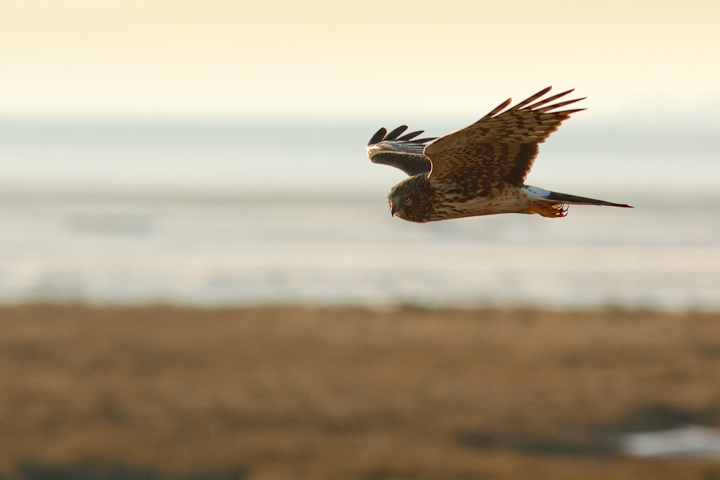 Harriers were the most common raptors we saw flying over the beach and grasslands. We saw a couple of dives for voles, but no captures. 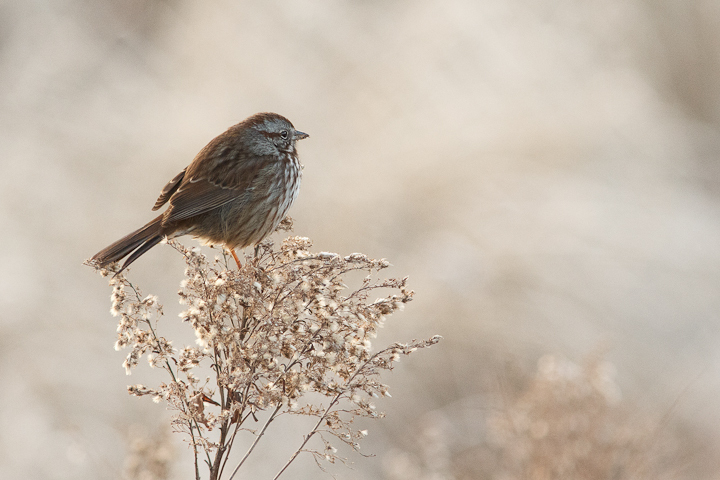 I like the light tones of the frosty ground in this one. 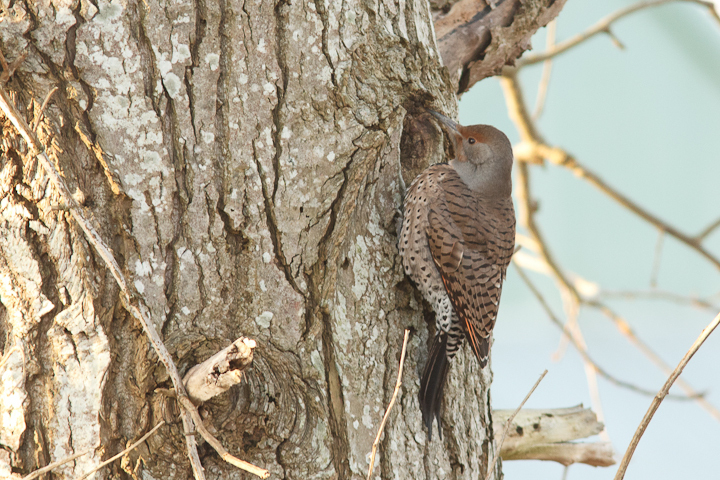 In between feeding, this female flicker was investigating this hole. Perhaps she nested in it previously, or is planning to! This gorgeous pup was having a great outing! 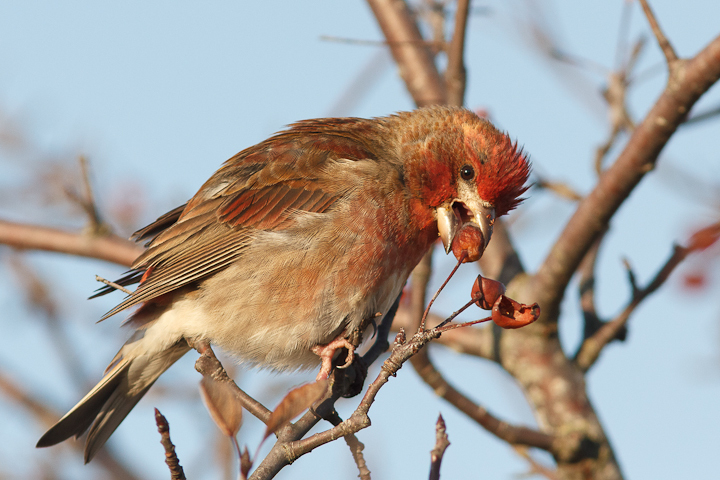 A House Finch male was a bright splash of colour on the dead branches. 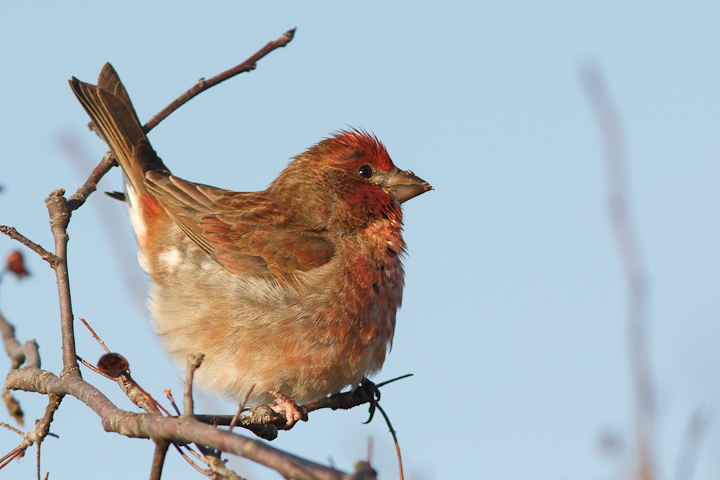 An odd posture as the finch changes positions. 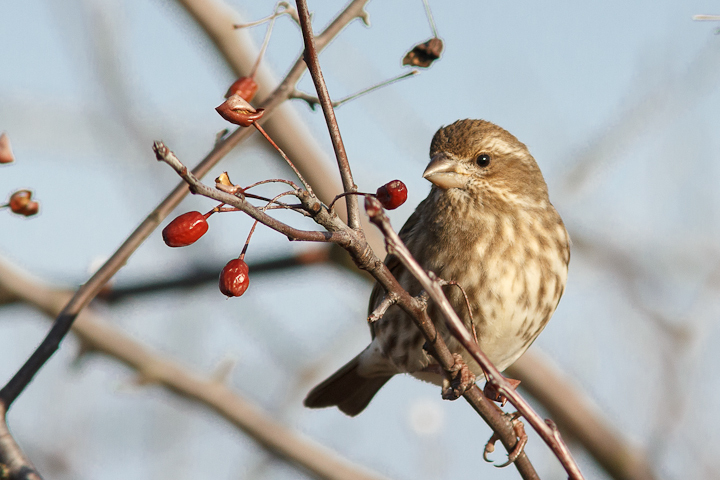 This female was a bit more shy. A harrier doing a close flyby. 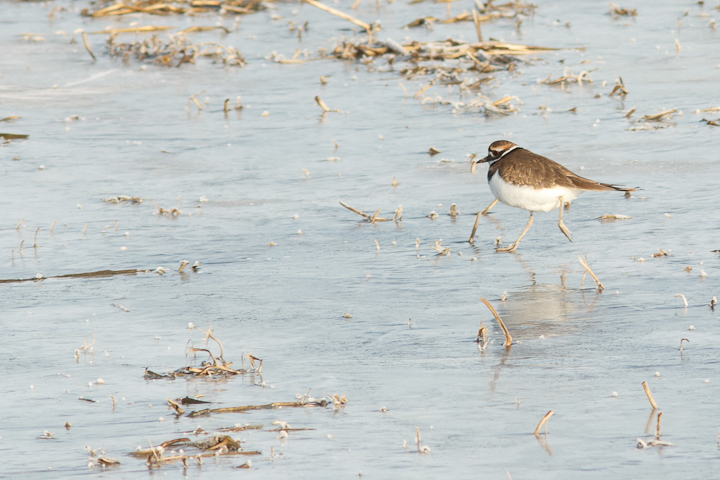 There were a bunch of Kildeers on the icy fields, but seemed to disappear when they stood still. 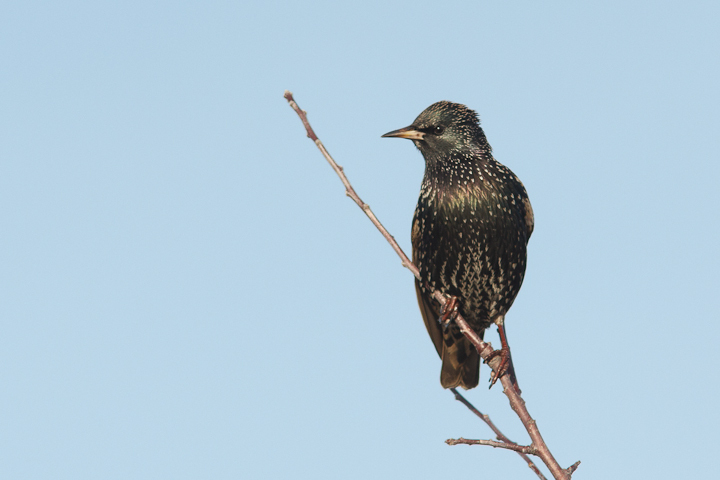 Our final cool bird was the European Starling, which was posing nicely for us on a sunny branch. Was there on the 31st and enjoyed many of the same scenes. Thanks for the great pics! Nice! I hope to go back soon, if possible. Would like to see a Long-eared Owl. 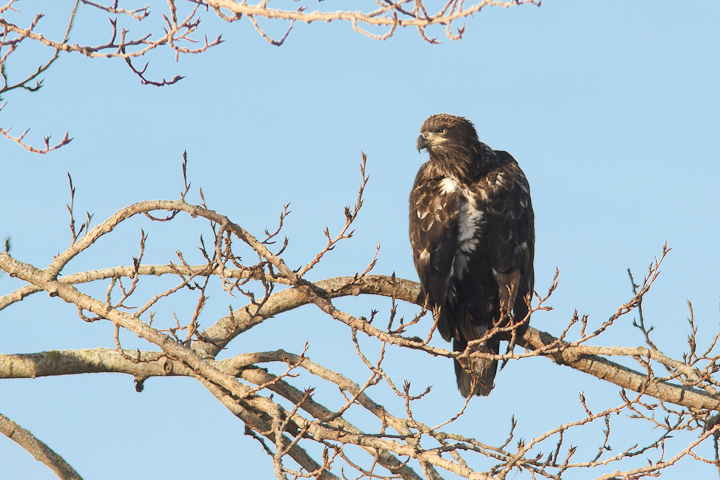 Did you see the Golden Eagle on 72nd?